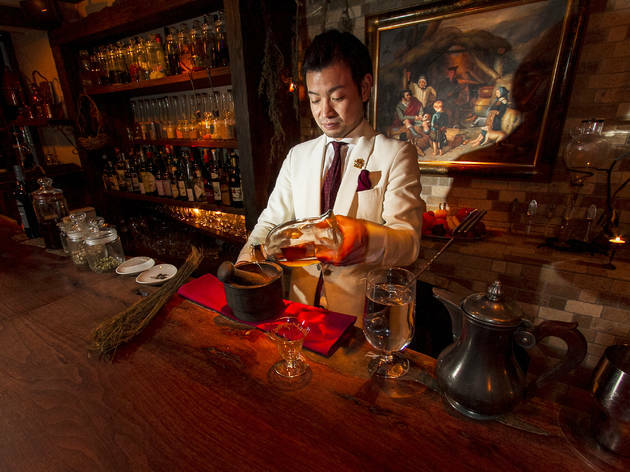 When globetrotting bar hounds go in search of the perfect cocktail, they generally wash up in Tokyo. The capital’s top bartenders are renowned for their exacting approach to the art of preparing drinks: from precision-carved ice cubes to painstakingly mastered shaking techniques, they’ve finessed every stage of the process. At the hallowed cocktail temples of Ginza – places like Star Bar, Bar Tender and Bar High Five – it’s all about craftsmanship, not flair. Classic cocktails rule supreme, and trainees will sometimes spend years working behind the counter before they get a chance to make a drink for a paying customer. But what of the innovators and upstarts: the budding bartenders who’d rather create something new than spend years learning how to make a perfectly balanced gimlet? 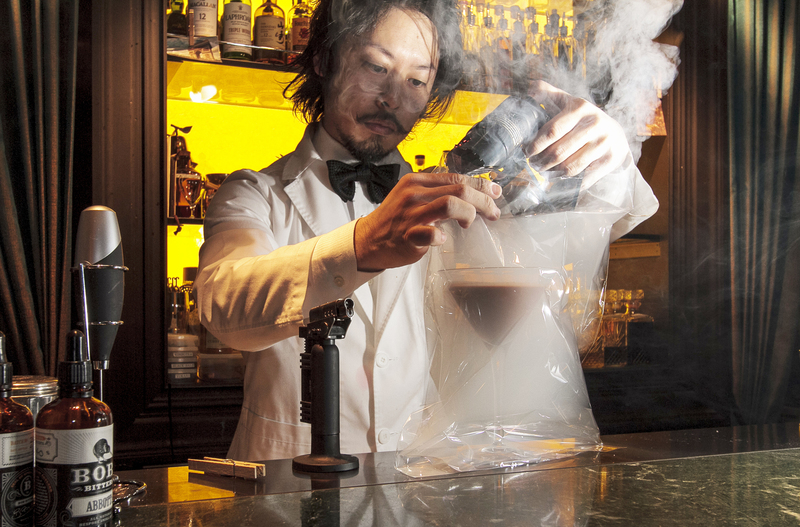 In the past decade, a growing number of cocktail makers in Tokyo have been bucking the traditionalist trend. Some have even embraced a term that’s practically considered an insult on the Ginza circuit: mixology. Popularised by New York’s Dale DeGroff in the late ’80s, the word (and its associated term, ‘mixologist’) seems to mean something different to everyone who uses it, but it tends to conjure images of bartenders who wield unorthodox techniques and unusual ingredients to further the ‘science’ of cocktail making. At its most innocuous, this might just mean using fresh fruit in cocktails; at its most extreme, it can look more like the bartending equivalent of molecular gastronomy, where muddlers and shakers have been replaced with centrifuges and dry ice. But, as we discovered on a tour of three of the city’s most cutting-edge bars, there are many different ways to rewrite the Tokyo cocktail rulebook. 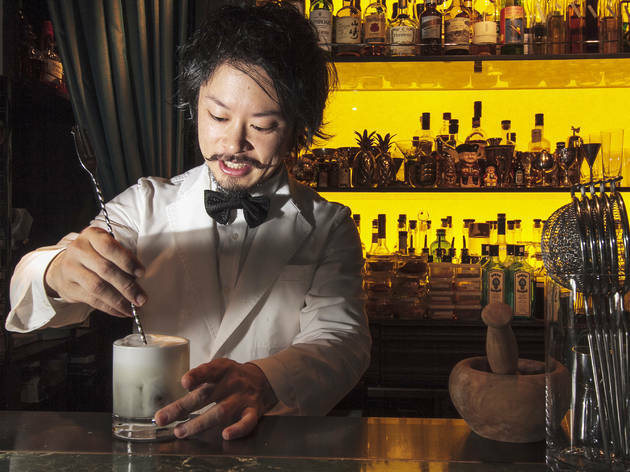 ‘Washoku and Japanese bartending is all about subtraction,’ says Shuzo Nagumo. ‘But I like multiplication.’ He’s just prepared us the most outlandish martini we’ve ever tasted, made with foie gras vodka, chocolate reduction, fresh cream and nutmeg, then wrapped in a cellophane bag that’s pumped full of smoke. Nagumo’s business card bears the title ‘Grand Mixologist’, and on this evidence he’s more than earned it. At Mixology Laboratory, the newest addition to Nagumo’s expanding empire of high-tech cocktail dens, there’s a welter of expensive scientific equipment behind the bar. He uses a rotary evaporator to extract the aromatics from delicate ingredients that would be destroyed by conventional distillation, letting him create unlikely tipples such as basil gin, blue cheese cognac and – yes – foie gras vodka. One of his staple cocktails is made with a white tomato liquid produced in a centrifuge. ‘There aren’t many people making cocktails like this in Japan, so I had to work a lot of things out for myself,’ he says. 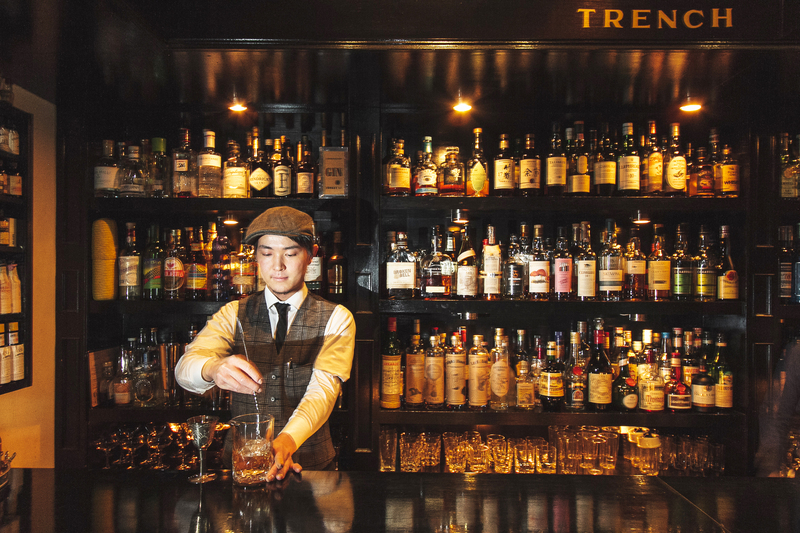 After kitting out his lab, he headed to London to get advice from pioneering mixologist Tony Conigliaro, and he regularly exchanges ideas with forward-thinking bartender pals in other major Asian cities. But, says Nagumo, there’s nobody else making drinks like his Tom Yum Cooler, which turns the famous spicy-sour Thai soup into a refreshing long cocktail – the kind of thing you might drink in lieu of a mojito on a summer afternoon. Though the drink uses a lab-concocted tom yum liquor as its base, the secret lay in finding the right balance of tart flavours: lime juice, tamarind syrup and balsamic vinegar. 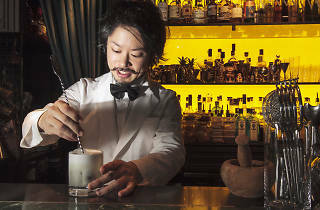 ‘Creating cocktails that combine Japanese bartending techniques with ideas that you won’t find anywhere else – that’s my style,’ he says. Oh, and overseas bartenders pining for a bottle of wasabi gin are in luck: Nagumo plans to start his own distillery next. 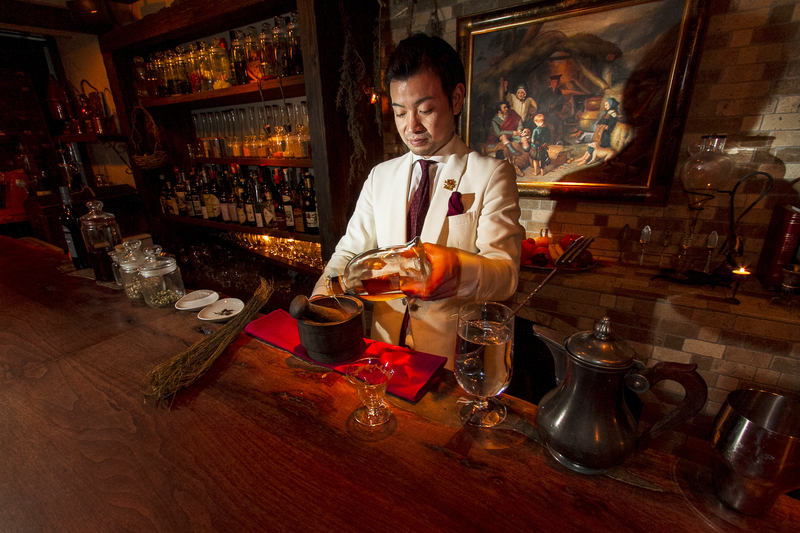 The first time we visit Bar BenFiddich, Hiroyasu Kayama gives us an unusual souvenir: a bag of dried senburi root (pictured above on the left of the bar counter), a virulently bitter herb that’s normally used to relieve indigestion. ‘I’ve got loads of this stuff sitting around,’ he says, as he grinds a section of root with some red wine, brandy, orange peel and an array of spices to create his own version of amaro, the potent Italian digestif. ‘The new generation right now are travelling more, seeing what’s going on outside the country, and they’re mixing what they knew before of the classic Japanese style,’ says Rogerio Igarashi Vaz, reflecting on recent trends in Japan’s bar scene. 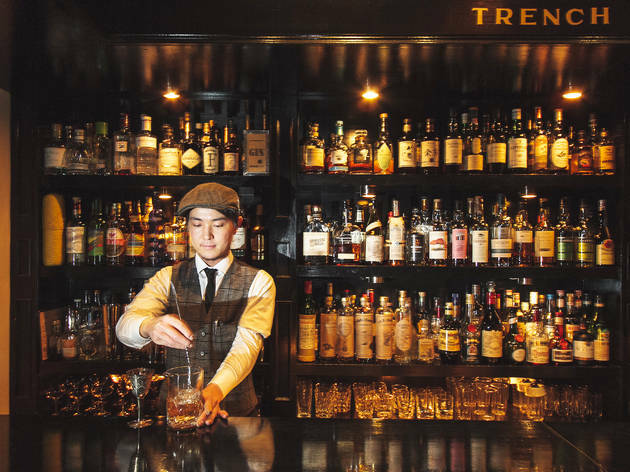 ‘Little by little it’s changing.’ As the co-owner of Ebisu’s Bar Tram and its sister shop, Bar Trench, Vaz has been well positioned to appreciate that change. Back when Tram (motto: ‘Get drunk different’) first opened in 2003, its above-average absinthe selection and DIY aesthetic was enough to make it stand out from the crowd. But ‘things started to get a little more complex’ later in the decade, as the staff began to incorporate ideas that they’d picked up during visits to progressive cocktail bars overseas. At both Tram and Trench, which opened in 2009, the drinks menus are clearly in tune with Western trends – plenty of twists on classic cocktails, lots of housemade bitters and infusions – without feeling derivative. With their retro décor conjuring a spirit of Prohibition-era bonhomie, these bars are also just a lot of fun. Vaz can usually be found behind the counter at Trench, where he says there’s more of an emphasis on boozy cocktails from the ’20s and ’30s. The Old Etonian (like ‘a strong gin and tonic, but without the bubbles’) is a long-running favourite, and the menu has an entire section devoted to absinthe cocktails.